Dave Mason, Sunny 98.1 morning drive host, will once again be back at KUSI on this Sunday raising money and awareness for The Helen Woodward Animal Center. 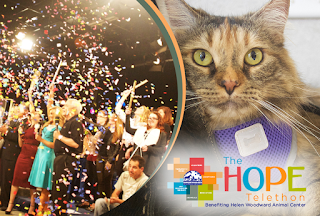 Dave and several personalities from KUSI will be on from 11am-3pm for 'The Hope Telethon'. Dave will be scheduled to be along side Allie Wagner, Lisa Remillard, Elizabeth Alvarez and Dave Scott. Mason has been a part of this telethon since 2000.